When you have short hair, accessories may be the furthest thing from your mind. You can tong it, tousle it and straighten but can you accessorize it without it coming loose by midday? Affirmative. We’ve picked out 5 hair accessories that do just that. They’ll work well for short hair and look glam while doing so. Short haired girls look no further. 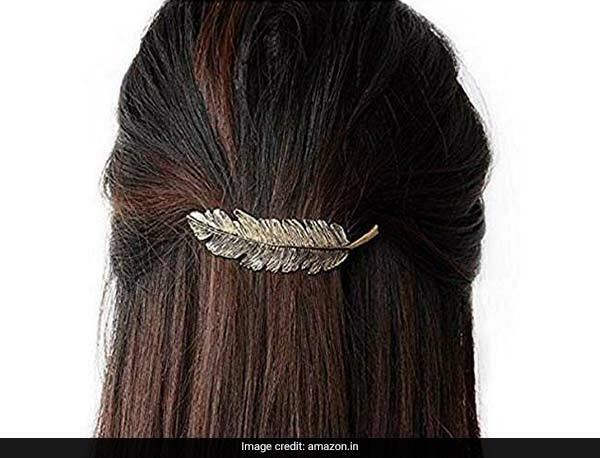 The El Regalo Metallic Hair Clip is a barrette style clip with a feather design. It has a gold, textured finish and clips easily into short hair. It is available for Rs 339, reduced from Rs 699. Shop here. 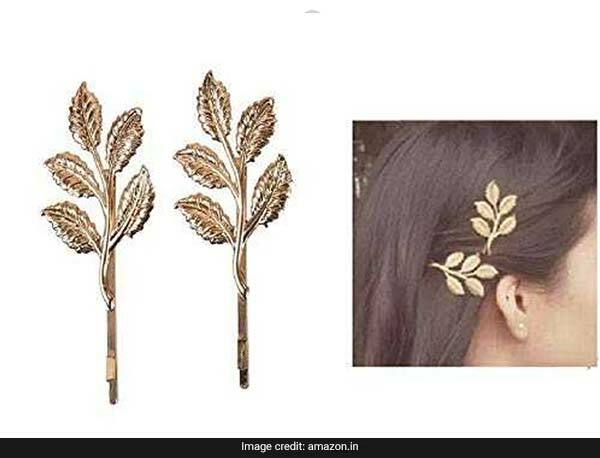 The Cinderella Collection by Shining Diva Hair Clip comes with a decorated band of gold finished olive leaves with combs at either end, which will fit even on the shortest of lengths. It is available for Rs 290, reduced from Rs 1,995. Shop here. 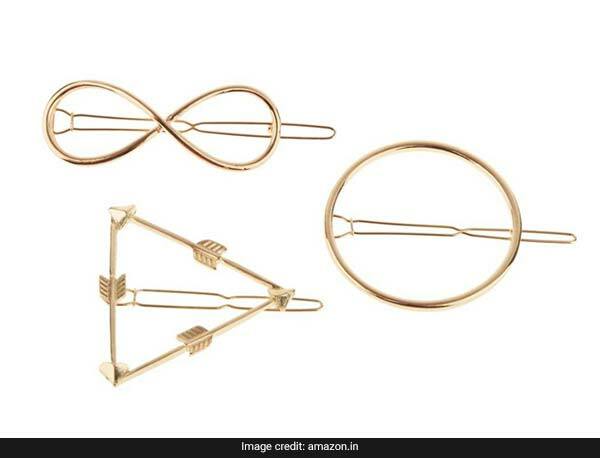 For the minimalist, the Generic Korea Style Delicate Hair Pin is the answer. The set includes 3 pins with gold finishes and minimal geometric designs that will look wonderful with a side tuck. They are available for Rs 399, reduced from Rs 999. Shop here. For a bit of glitz, choose the El Regalo Honey Bee Hair Pins. 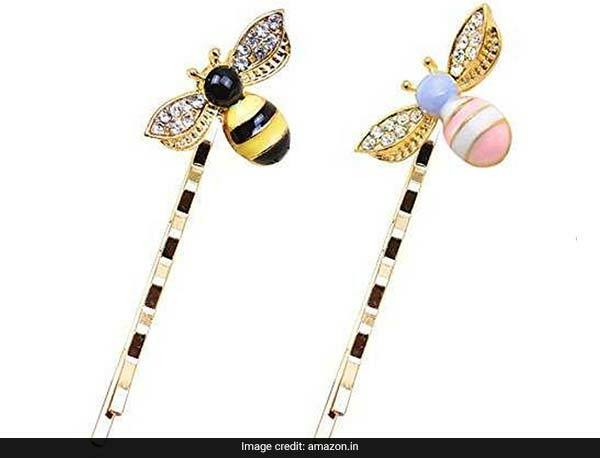 The gold finished bobby pins have colourful stone-encrusted bees on the end. They are available for Rs 399, reduced from Rs 599. Shop here. 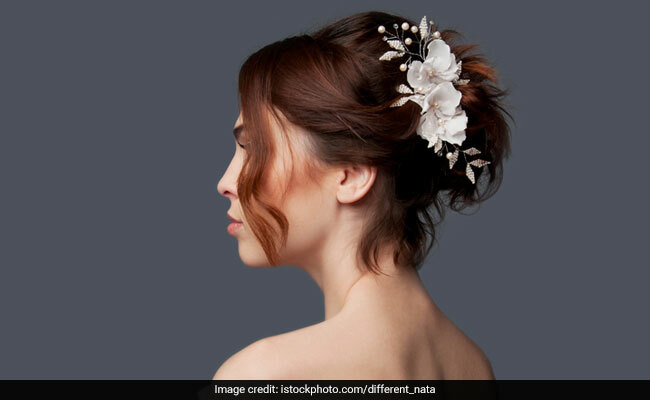 If it’s a simple floral touch you want, the Electomania Plumeria Flower Hair Clip is the answer. 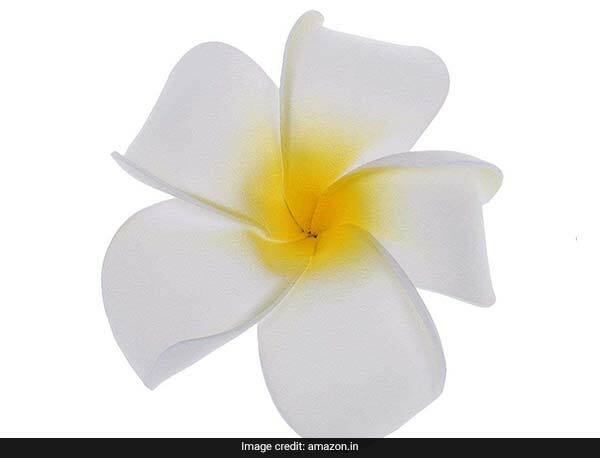 The pretty floral accessory is designed to look like a frangipani flower for a beachy look. It is available for Rs 225, reduced from Rs 599. Shop here. 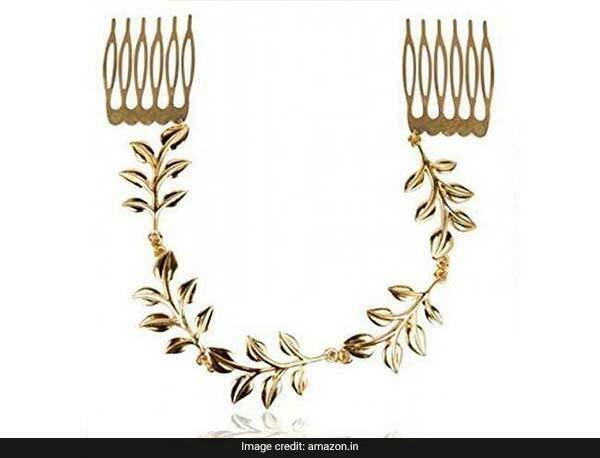 The Aaishwarya Leaf Motif Hair Pins have simple olive leaf motifs over flat bobby pins with a gold finish. It is available for Rs 359, reduced from Rs 799. Shop here.